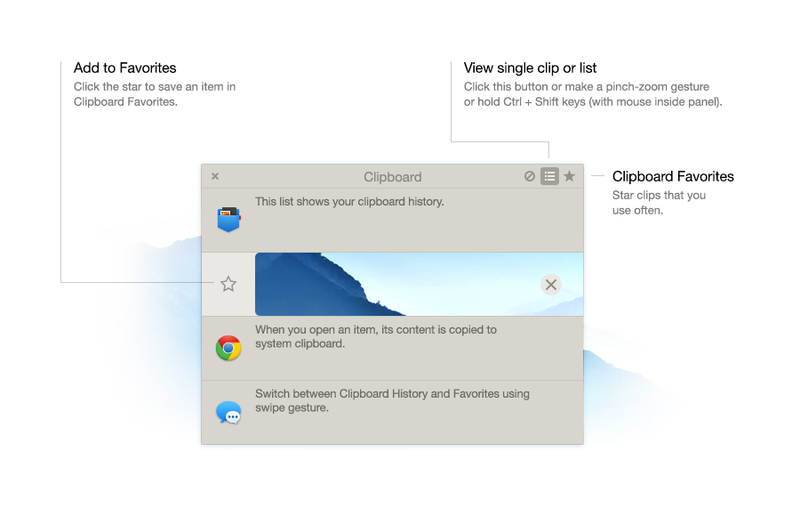 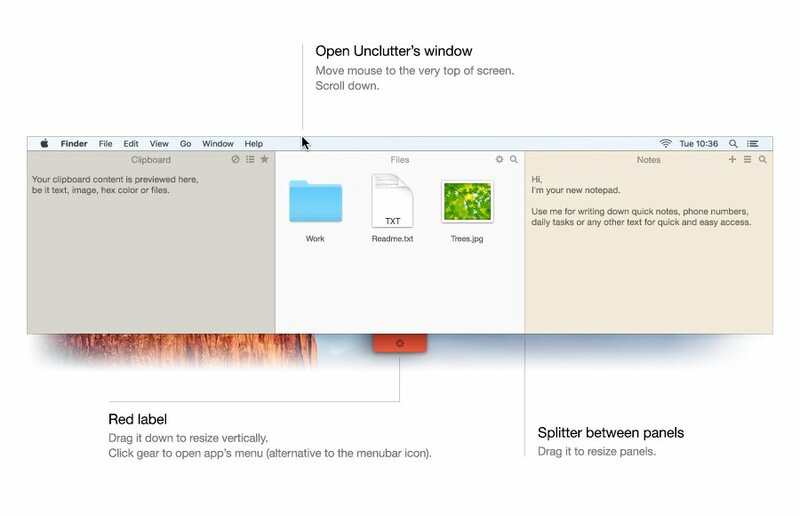 Keep your Mac’s desktop clean and more with Unclutter. 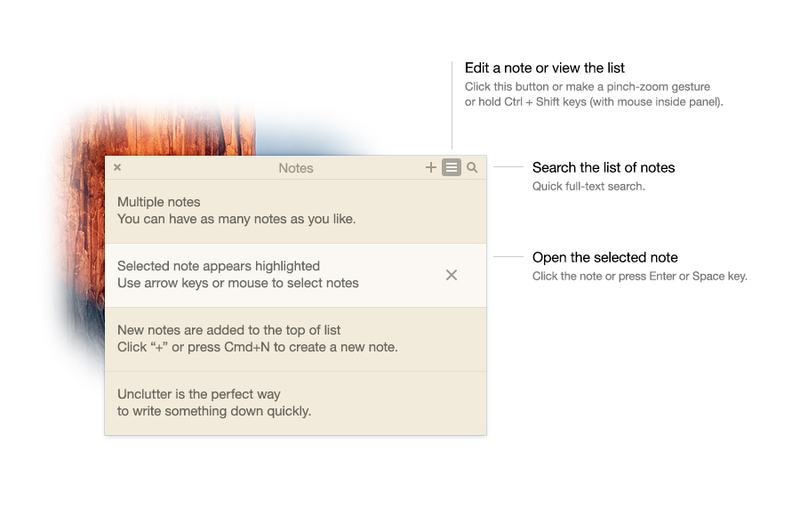 It has drop-down fields where you can store files and shortcuts, manage your clipboard and make notes. 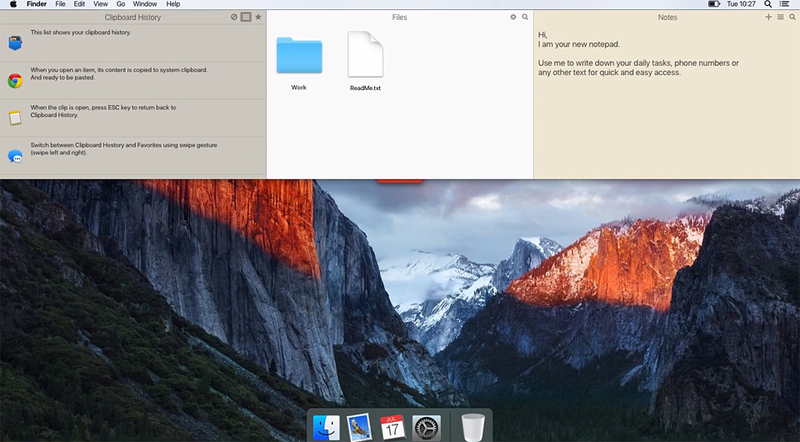 It can also sync your files and notes via Dropbox. 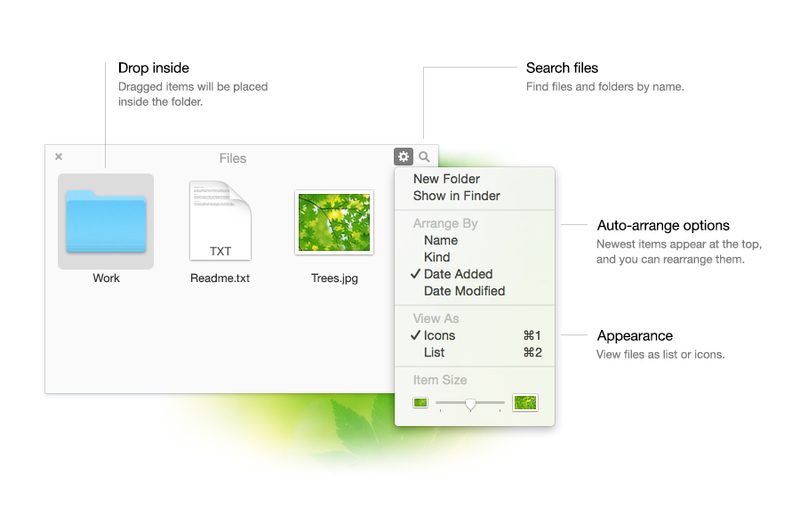 If you own DaisyDisk, you can buy Unclutter for just $5.